We’re super stoked to have these posters created by the very talented @sketchytrails. Kristina has been rocking the mountain bike world recently with her art. Her style perfectly captures the movement and feeling of the sport. Many of her drawings feature riders on twisting singletrack, sending it off jumps, or enjoying exapnsive mountain-top vistas. She is inspired by riding her native Washington state trails: you’ll find a lot of ferns and big trees in her work. 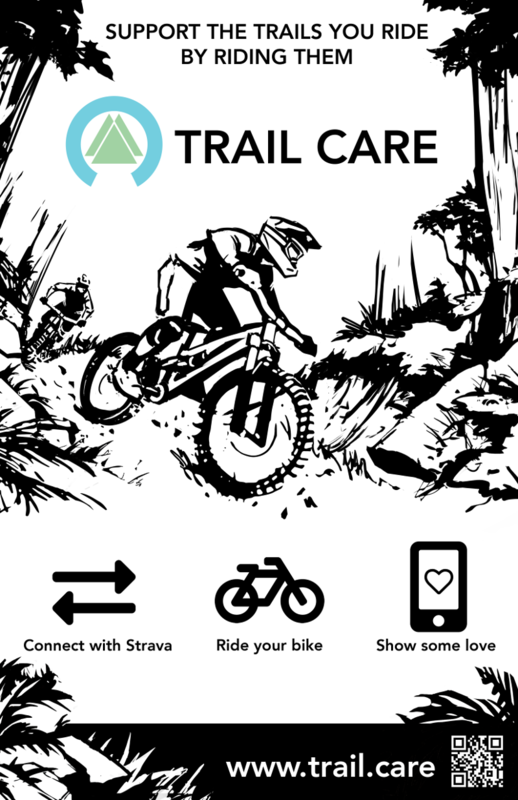 Trail Care needs a way to reach new users and printed media is a good place to start. Look out for these posters in your local bike shop. If you’d like a few for yourself, contact us and we’ll hook you up.